This week’s pick is a recent addition to the collection. 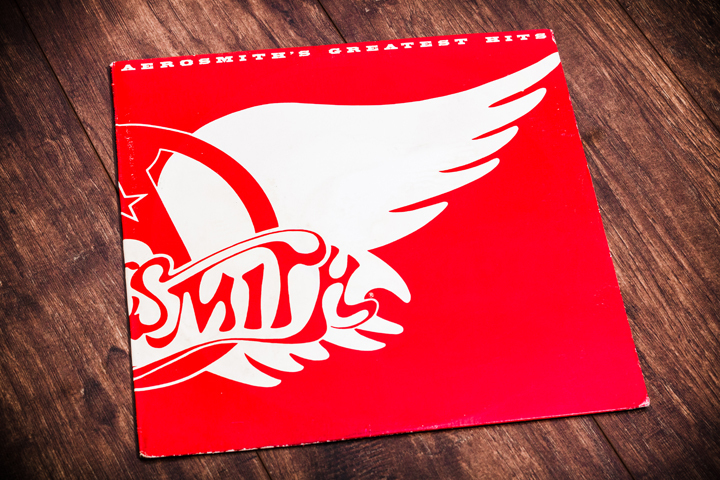 I have been looking for a copy of Aerosmith’s Greatest Hits (1980 – Columbia Records) record for a little while now and I’ve even passed on a few of them when I found them in stores in Columbus and Cleveland. Aerosmith’s Greatest Hits is a compilation of their best tunes (obviously that’s subjective) from before their early-90’s resurgence. This album is full of goodies and it won’t disappoint even the casual Aerosmith fan like myself. I got into this album maybe a year or so ago, probably right before I landed my most recent job in Cleveland. I was looking for something that had the hits of Aerosmith’s younger, more wild days after I remembered having a greatest hits collection of theirs in my youth. It was a CD with a blue cover and it was likely the Big Ones compilation. Since I liked that album I decided this would be a good place to start over again and I began streaming this album in its place. Vinyl Wednesday is back! I can’t say for sure how long it will last as we quickly creep into the holiday season but I’m going to do my best to keep it going until at LEAST the new year. Now, enough of that shop talk and let’s get down to business. This is one badass band from Cleveland, OH. I’ve written about Ringworm before (here) and my opinion hasn’t changed much. This 4-song split single is totally killer. 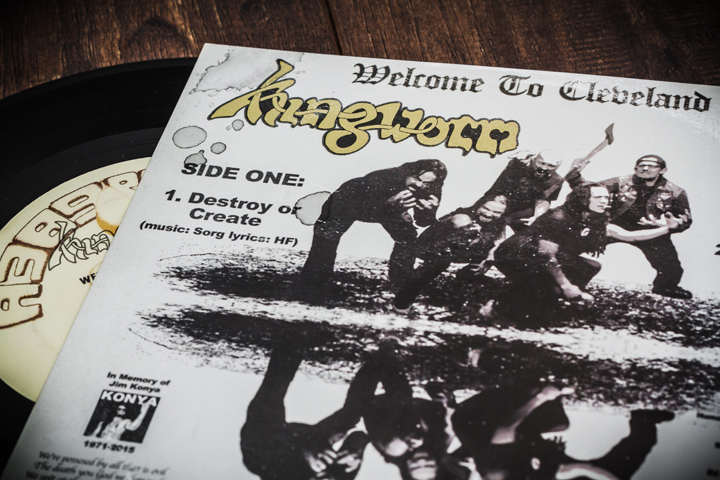 I’m going to focus mainly on Ringworm as they are the whole reason I bought this 7″. I stumbled across this logo last week and I just had to share it. It is (from what I can gather) the overarching logo for The University of Tennessee. It’s not the logo you normally think of when somebody mentions UT or the Volunteers (Vols) athletic teams, but to me this has so much more going for it. Do I want this to appear on a jersey or helmet? No, not at all. But would I be pumped if I saw this around campus? Hell yes I would! Now, I also REALLY like the “T” logo that everyone knows. It’s great. 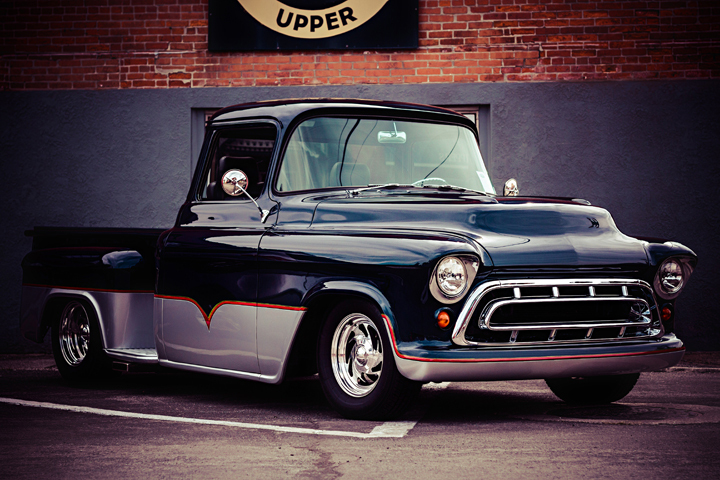 Timeless, classic, etc. This one just has a bit more modernity to it and that is not a bad thing. I had never seen it before last week and now I can’t get enough of it. I dig it. So should you. Now you can. 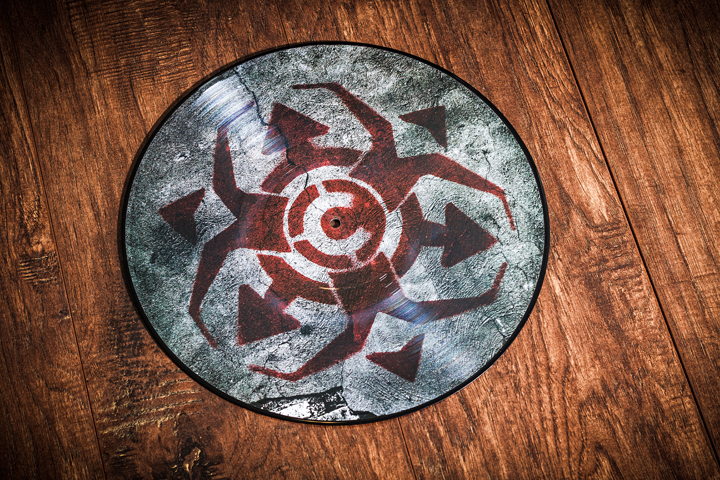 The once-mighty Chimaira heads up Vinyl Wednesday this week and wouldn’t ya know it, it’s another picture disc. I think I own three total picture discs and I’ve now covered two of them. Never been a huge fan of picture discs but I couldn’t pass this up as it was $3 on some metal merch website. I wish it was one of the regular versions of the album but for a cheap chance at some Cleveland metal, I’ll deal. Since this is a picture disc I really don’t have a lot to say about the design. There’s a really killer evolution of the “chaos” symbol on the front, some nice photography and a pretty neat treatment for the typography on the back. I actually really dig the look of this picture disc, which is one of the reasons I bought it. Hit the jump to see some pictures and to find out what I think of the music on this album.